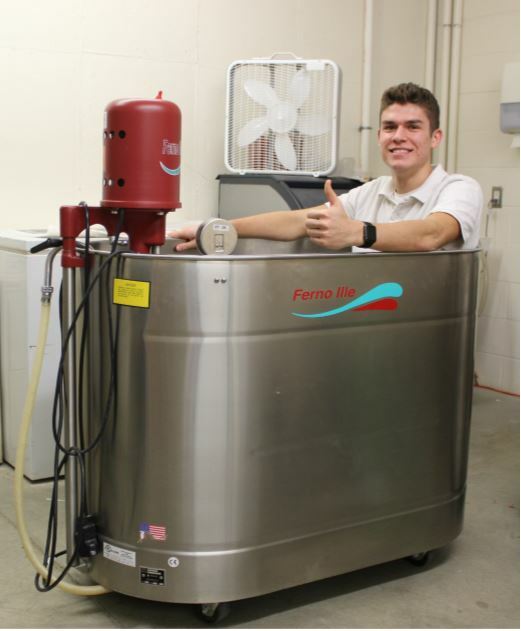 Thank you to Makovicka Sylliaasen Physical Therapy for their most recent donation of a brand new whirlpool! All athletes at Bishop Neumann will have access to the whirlpools under supervision. The typical goals of whirlpool use include; decrease swelling, control inflammation, promote wound healing, improve motion, decrease pain and decrease muscle spasm. 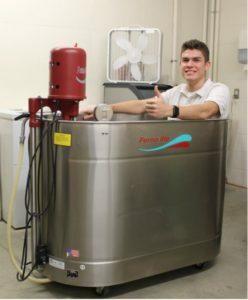 Bishop Neumann now has two whirlpools which will now allow Wendy Mach to help more athletes as well as having both cold and warm whirlpools available! Thank you again Makovicka Sylliaasen Physical Therapy for your continuous support to Bishop Neumann High School.